Like many Indigenous children, Chanie was plucked from his home and forced into a residential school. These schools had a single objective: influence the children to forget their heritage and assimilate into the dominant culture. Chanie and two of his friends mustered up the courage to run away from their school to escape the daily abuse and mistreatment. They retreated into the woods. Chanie eventually finds himself stranded and alone. Despite his strong will to see his family again, he was in no way prepared for the harsh Canadian winter. Every Canadian should have the opportunity to read Wenjack. Chanie's story is heartbreaking and in no way a happy one, but it is extremely important. Canadians should be cognizant of our country's dark past and better understand years of struggles that our Indigenous people have suffered. Our country must now continue along the path of reconciliation for years of injustice. 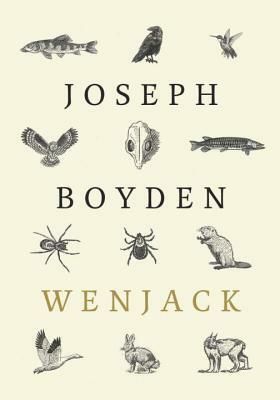 This book is so powerful, and I love Joseph Boyden. I really need to make my way through all his books. I also love Richard Wagamese. Agreed. I picked up Secret Path by Gord Downie at the same time. I flipped through it shortly after finishing Wenjack and it made an even bigger impact. I have a few Richard Wagamese books on my to read list. Is there one that you'd recommend to read first?